Unfortunately, over recent years, I have found that people invariably miss seeing me when I am in my wheelchair, probably because I am not at their eye level. This can result in, at best, people sometimes knocking into me accidentally in crowded situations or, at worst, people failing to see me when I am rolling down the pavement in front of them (usually because their eyes are focused on their mobile phones as they are walking), or sometimes, more dangerously, when I am crossing roads. This became very noticeable to me at the end of last year when I found that, especially in the dark, cars would not see me waiting at zebra crossings ready to cross and so just go through them at speed, or even when I was already starting to cross them. 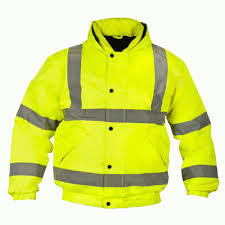 As you are probably aware if you have read my Updates before, I always like to be quite proactive about things so, reluctantly, I invested last year in a bright luminous yellow jacket, which I made myself wear during the Winter/early Spring, to give me the best chance of being seen. Since then, I have had to put up with a lot of teasing from those around me, saying things to me, like I now look like a security guard (to which I like to reply “And don’t you feel safe now?”), or making other comments, such as “Couldn’t you find anything brighter?” (to which I like to reply “Do you think that I really like having to wear this?”). But I am sure that it has helped people to see me more.